SEWA is committed to providing all parts of the Emirate with drinking water from both underground and desalination sources. SEWA has established modern desalination and production plants to produce and treat seawater and underground water to be distributed to residential, commercial and industrial customers via our transmission & distribution networks. 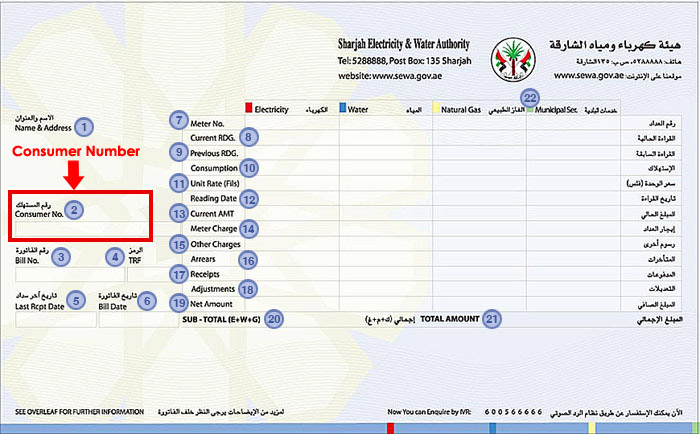 Provisional water supply for construction purpose. Permanent Water Connection for Residential, Commercial & Industrial Buildings. Permanent Water Connection for Commercial Shops. Disconnection of provisional supply to make a permanent connection. Copy of a valid building permission issued by the Municipality. Trade license copy of the building contractor. Copies of the approved drawings. Copy of the Completion Certificate issued by the Municipality. Copy of the Affection Plan. The trade license copy of the building contractor. Copy of tenancy contract duly attested by the Municipality. Copy of trade registration issued by the Chamber of Commerce. Copy of The trade license issued by the Municipality. A memo from the concerned customer care center. Copy of the last SEWA Invoice. A memo from the customer care center recommending the disconnection and confirming the payment of all dues. Copy of completion certificate issued by the Municipality. Clearing certificate for the provisional meter (Contractor).